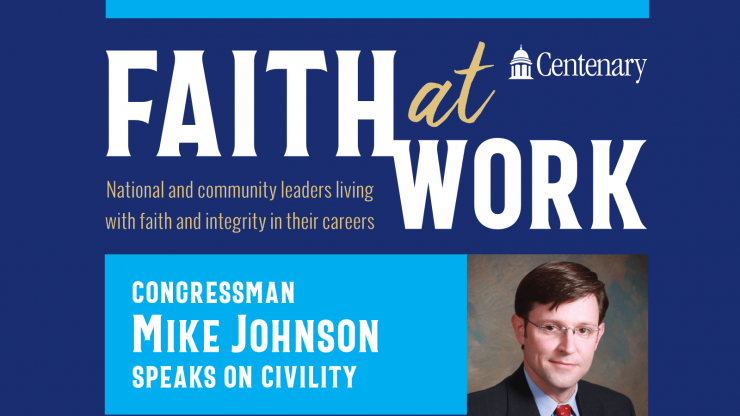 The Christian Leadership Center at Centenary College is proud to announce the creation of a new speaker series featuring national and community leaders living with faith and integrity in their careers! "Deterrence as the Work of Peace"
Watch a video of Gen. Rand's presentation here. The cost of this event has been underwritten by an anonymous donor, but space is limited and RSVPs are required. RSVP via email to lbroderick@centenary.edu or call 318.869.5156.